I have a number of patients for whom I perform extremely finesse work on their lips. Injecting lips and striving for subtle “augmentation” of the lips is something I have always endeavored to be at the forefront of since I went into practice 11 years ago. In my opinion, bigger is not better. Many of patients I see may have been getting injectables in their lips for several years – usually fillers such as JUVÉDERM® or Restylane®. A number of these individuals bounce around from clinic to clinic, often going to a “nurse injector” or even medi spa, and the results are never consistent. Sometimes they’re happy and other times they are not, which is when I get the call as the “fix-it” guy. In some instances, I have to “melt” a spot that has been over-injected; other times, I have to totally redo the lips. I think it’s worth pointing out that getting your lips injected is not like buying a Coke from a grocery store. A Coke is the same product anywhere you go. The simple analysis is that many people shop by price, convenience, quick access, or availability, without realizing that the injector, rather than the product being injected, is the biggest and most important part! As my practice has evolved, and as every urologist, OB/GYN, and family physician is now trying to “inject lips”, I have become more of a “redo” lip specialist. It is quite common to get the panic call from a patient after an experience at a medi-spa, in fact. I believe seeing a board certified plastic surgeon or dermatologist who has extensive training and experience with lips is important. 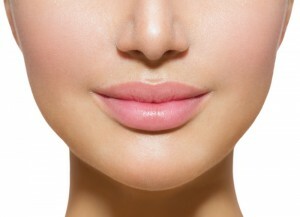 So many “injectors” simply crank the volume into the lips (usually mostly in the top lip) and give patients the give-away “duck lip” or “shelf” that looks unnatural and obvious; the look that confirms to the public, “Yes, I’ve had my lips done and not so subtlety.” Most patients – after having their lips done “right” as far as anatomical proportion and balance – recognize that there is a difference and want them to look as good as possible. This is still something that typically has to be done twice a year (like cleaning your teeth). For some individuals who have achieved excellent results for a few years, permanent treatment options for the lips may be desired. PermaLip® silicone lip implants can really be a great option for giving someone a soft and subtle result that never has to be injected again. Theoretically, it is even a “reversible” procedure, so if anyone wants them removed, they could easily do so (though I have not had anyone request that so far in my practice). In the 1990s, some physicians were placing Gore-Tex or Alloderm strips into the lips for permanent augmentation, which is no longer done. However, I still see patients with scar deformities from those days, and PermaLip® implants can sometimes improve that, as well. Ultimately, if you are interested in enhancing the appearance of your lips, my advice is to seek the expertise of a board certified physician who has both experience and proven results. For more information about lip enhancement, or if you would like to schedule a consultation with Dr. Boynton, please contact us today.